Organization: Organize all your assets into multi-level projects and categories. Keep folder structures for P2, S x S, and XDCAM content. Search: Perform federated search through all online storage locations and content on the shelf, with web-based proxy previews. 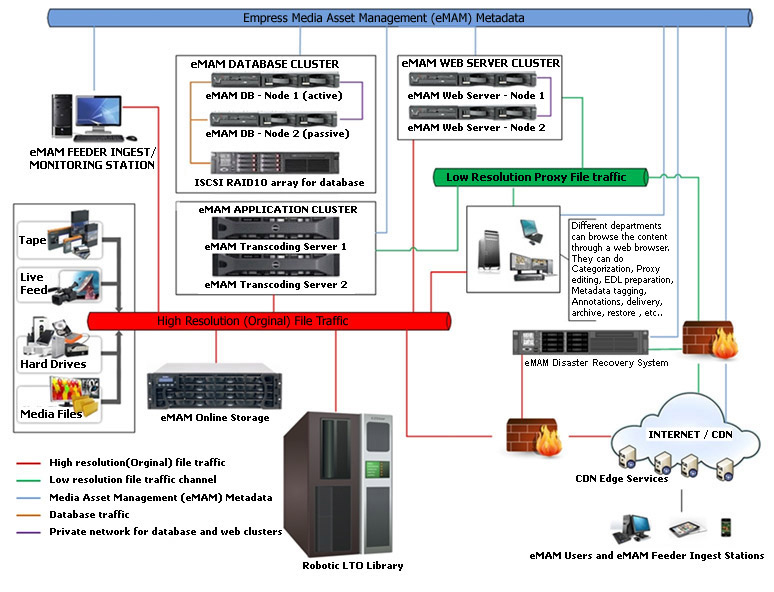 Media Asset Management: From the intuitive eMAM interface, you can move content to different internal and external locations and archive with transcoding as needed. HSM connectors with SGL, XenData, QStar archive management systems. Collaboration: Share comments, mark up individual frames, and subclip from anywhere. Review/Approval: Send proxy copies anywhere quickly for instant feedback from any computer, tablet, or smart phone. Marketing: Publish a branded mixed media message/campaign by email. Delivery: Send to multiple destinations or platforms over standard internet, using Aspera, Signiant, CDN, Microsoft Azure, or Amazon S3. Scalable: eMAM can expand onto more servers to meet processing, load balancing, and redundancy/failover requirements all using the same intuitive GUI. Modular: Purchase only those features and licenses needed, then add as needed. Secure: Multilevel granular permission for assets, users, and user groups. 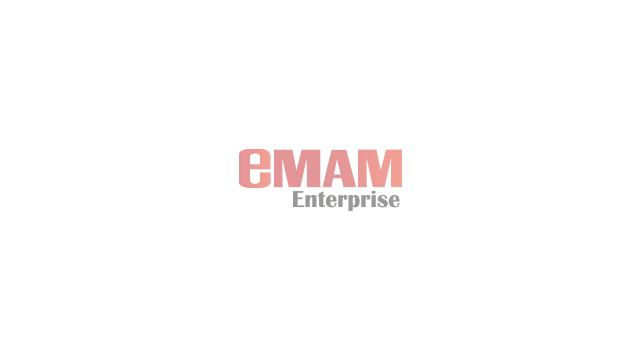 Software Only: Run eMAM on your servers and storage. Turnkey System: Ask our technical staff to provide the ideal software, server, and storage system that meets your needs and budget. Complete Workflow Solution: We can implement middleware and adapters with all your other systems for a seamless integrated workflow solution. Productivity improves with quicker approval/reviews and access to an online library of all content. Online content can be promoted and monetized. Labor is reduced in searching for media, repeated digitization, and other redundant processes. Tape and disc duplication and shipping costs fall when media campaigns and proxy copies can be sent over the internet. Internet and storage costs fall when proxy copies can be used, with fewer native copies used, stored, and downloaded.